This promotional corona deluxe cinch drawstring bag is the IT choice for you, if trying to make big impressions during the next tradeshow or business conference. This drawstring bag with side gussets and shoulder straps are perfect to carry while traveling. Also, there is a headphone port, which allows the user to plug their music and remain relaxed while traveling. It is perfect for administrators and outfit teachers who wish to make impressions at the next conference. 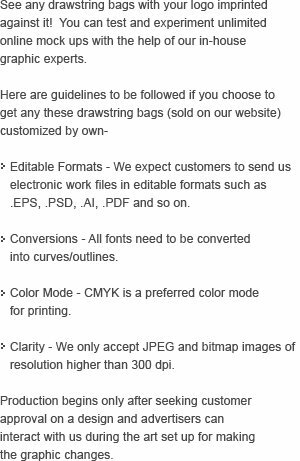 Request a quote to know bulk order discounts for this personalized Corona deluxe cinch drawstring bag. 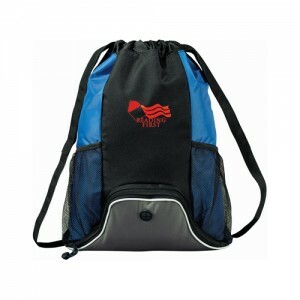 Features – Open main compartment includes shoulder straps, which also cinch the bag shut. Zippered front pocket with side gussets and a headphone port. Large front mesh pouches with elastic bands.